A 19th-century device used by psychologists is displayed at the National Museum of Psychology in Akron, Ohio. The skullcap was supposed to measure the bumps on a person’s head to determine mental traits. AKRON, Ohio – Wonder Woman’s striking visage on large, bright screens just inside the new National Museum of Psychology tells visitors there’s more here than dusty books and esoteric curiosities. Dennis Barrie, who developed it with his wife, Kathleen, already knew what it took to get people in the front door of a museum. He was co-creator of Cleveland’s Rock and Roll Hall of Fame and a former executive director there. In recent years, he worked on the International Spy Museum in Washington and the Mob Museum in Las Vegas. 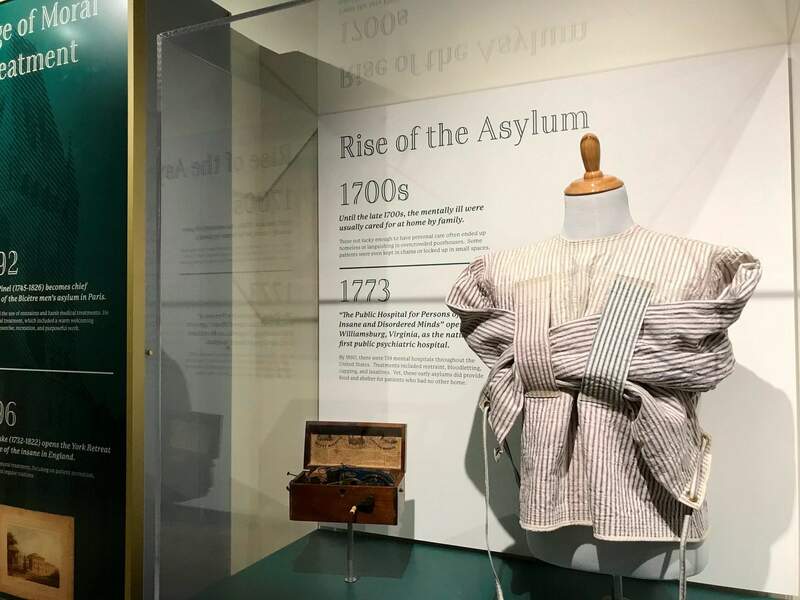 An early straitjacket is displayed at the National Museum of Psychology in Akron, Ohio. 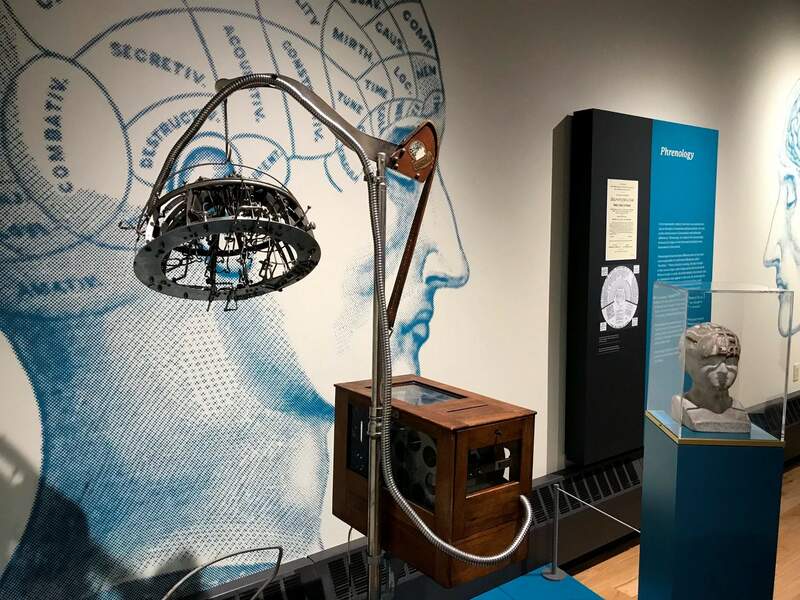 The National Museum of Psychology at the University of Akron features interactive exhibits, along with thousands of artifacts and documents. The museum was created by Dennis Barrie, who is co-creator of Cleveland’s Rock and Roll Hall of Fame. They can measure their reaction time against that of legendary slugger Babe Ruth. They can test their ability to multi-task. 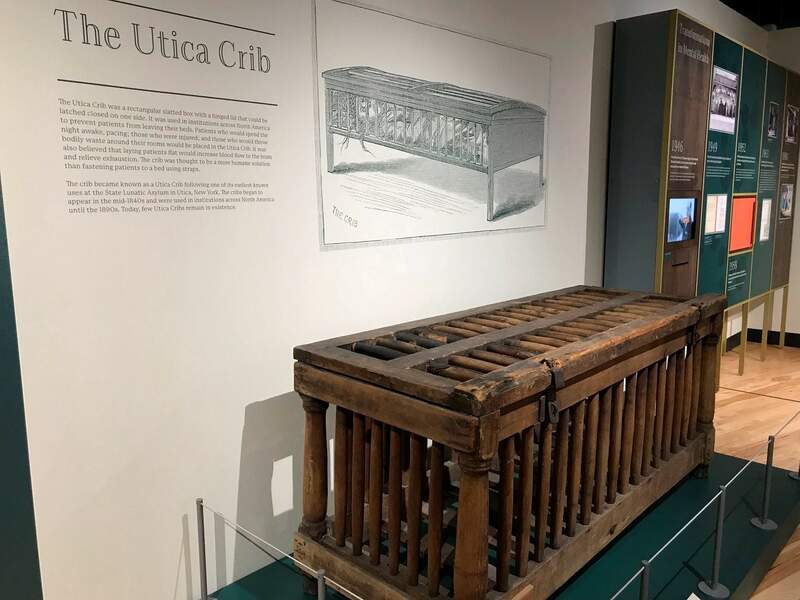 A cage for humans known as the Utica Crib is displayed at the National Museum of Psychology in Akron, Ohio. It was used in early asylums to restrain mental patients in their beds. NATIONAL MUSEUM OF PSYCHOLOGY: At the University of Akron, 73 S. College St., Akron, Ohio. Admission $10 for adults, $5 for students. www.uakron.edu/chp/museum.